You most likely have a similar question if you are reading this. 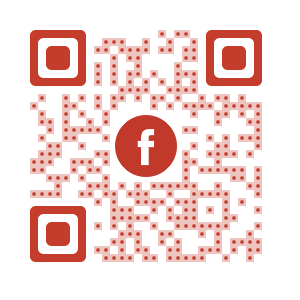 So we decided to write a post about it and answer the big question – what is the ideal size of a QR Code? You might not want to hear this but there is no correct answer to this question. The good news though is that you can calculate the ideal size for your campaign. It will ensure that your QR Code is scannable. A high-resolution camera on your phone can scan a QR Code as small as 0.4 inches or 1 cm in width. If your phone scanner can detect each module, then it will be able to read your code. For most phone cameras to be able to read a QR Code, they should at least be 1.2 inch or 3 cm or 115 pixels (in width and height). Also, the QR Code should have a contrasting border or margin width of at least 4 modules. Where are you planning to put up your QR Code and what is the expected scanning distance? For example, for QR Codes on business cards, the scanner will be about a feet away. For a large billboard, the scanner will be about hundred meters away. Example: You wish to put up a QR Code on a flyer that goes up on a notice board. The scanning distance would approximately be around 1 feet (or 12 inches). Applying the given rule, the minimum size of the QR Code should be 1.2 inches. If you follow this simple rule, your QR Code will have high scannability in a majority of the cases. The number of rows, columns, and characters in a QR Code also determine the scannability for a given size. Increasing the number of rows and columns in a fixed size QR Code decreases its scannability. Example: You want to put up a QR Code on a business card but you are not sure about the size. Approx. Scanning Distance: 0.5 ft or 6 in. Also, a good practice is to use URL shorteners to decrease the number of characters. This will, as a result cut the number of rows and columns, and hence the size of the QR Code. 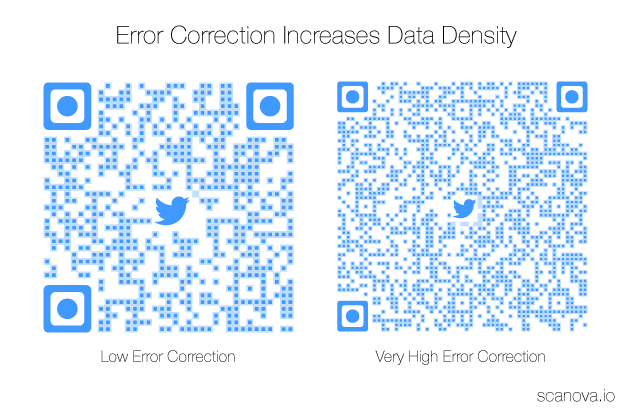 QR Codes with color and images need a high error correction level to remain scannable.High error correction will increase the number of rows and columns. Thus, increasing QR Code minimum size. You need a large size QR Code for print media such as a poster, billboard banner, or a wall. A good practice is to export your QR Code image in a vector format (SVG, EPS, PS, or PDF). This will ensure that if the size of the image increases, as a result the resolution of the image will also increase. Create a fully scannable, visually-appealing, and dynamic QR Code for your T-shirts. Can u please tell me QRcode size with a logo?? it was useful but how can i resize qr code in photoshop? what is the ideal MP or mega pixel is sufficient for phone camera to capture QR code correctly ? Is there a minimum MP required ? thanks Gautam for this nice post. I have a question. What Mega pixel (MP) camera is sufficient for a QR code scanning ?